Kyoto sculptor Haruyuki Uchida with his work Dance, Winner of 2018 Sculpture on Clyde. Photos: Alex Rea. 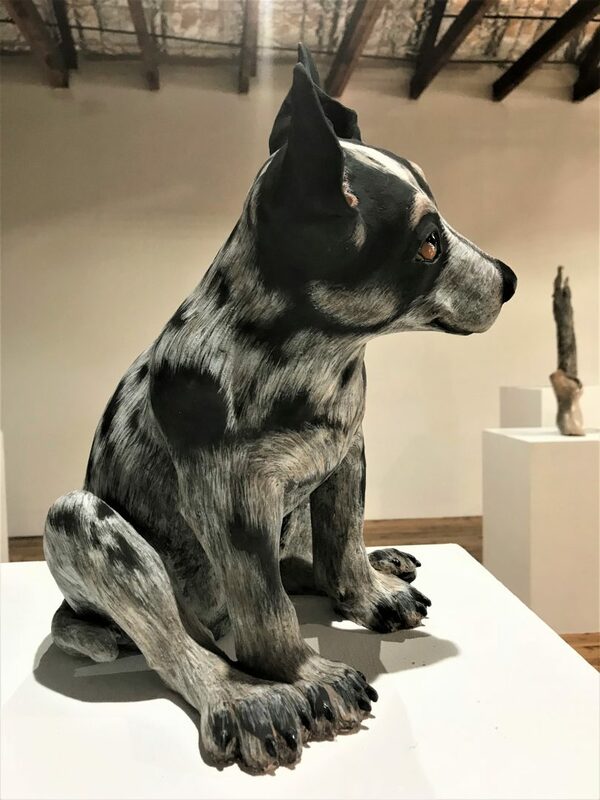 Batemans Bay is hosting the second ‘Sculpture on Clyde’ exhibition from 24 August to 2 September, this year with a $50,000 prize. 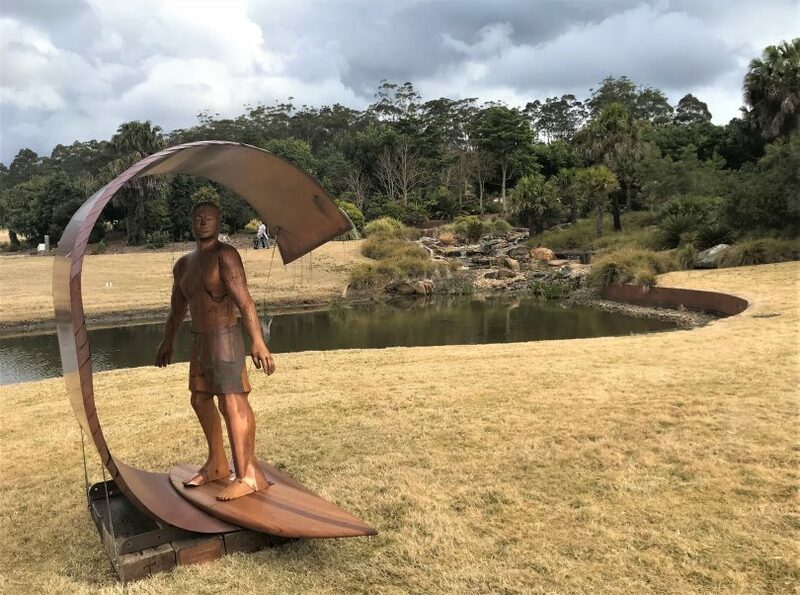 Sculpture on Clyde is being hosted across two venues this year, including Terry Snow’s Willinga Park, just north of Batemans Bay at Bawley Point. The indoor sculpture exhibition will be staged in the Francis Guy heritage building, overlooking the stunning Clyde River in Batemans Bay. 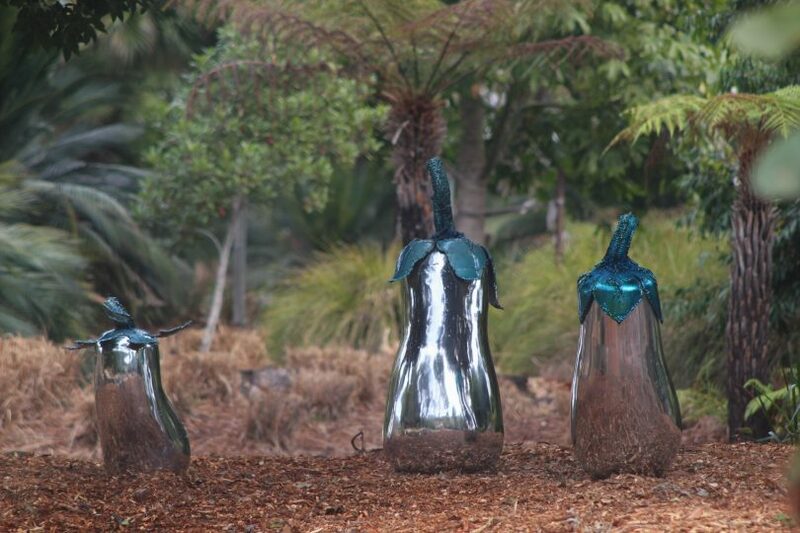 The outdoor sculptures in this year’s exhibition will be on display at Willinga Park, which will enable visitors to get a rare glimpse of Snow’s impressive private sculpture collection by internationally and nationally celebrated artists. 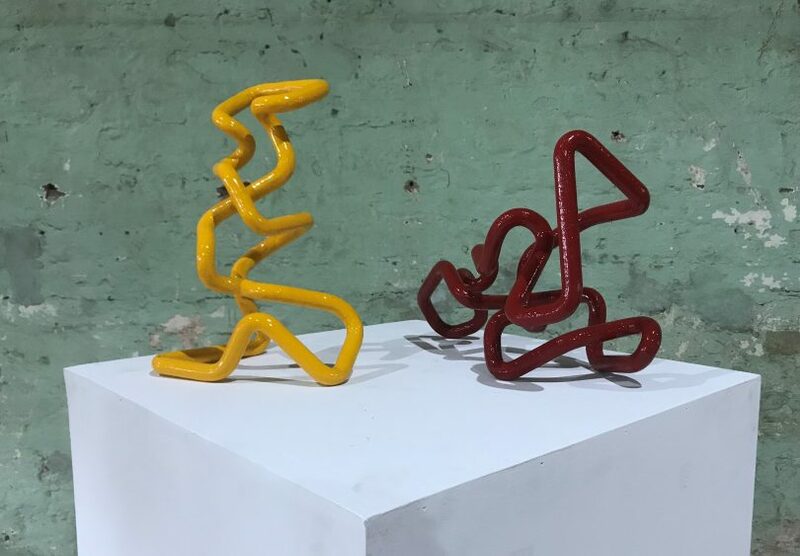 Winners were announced at a Grand Opening on Friday evening August 24 and Haruyuki Uchida from Japan took out the prize for his work ‘Dance’, a painted stainless steel work, made from one piece of steel. 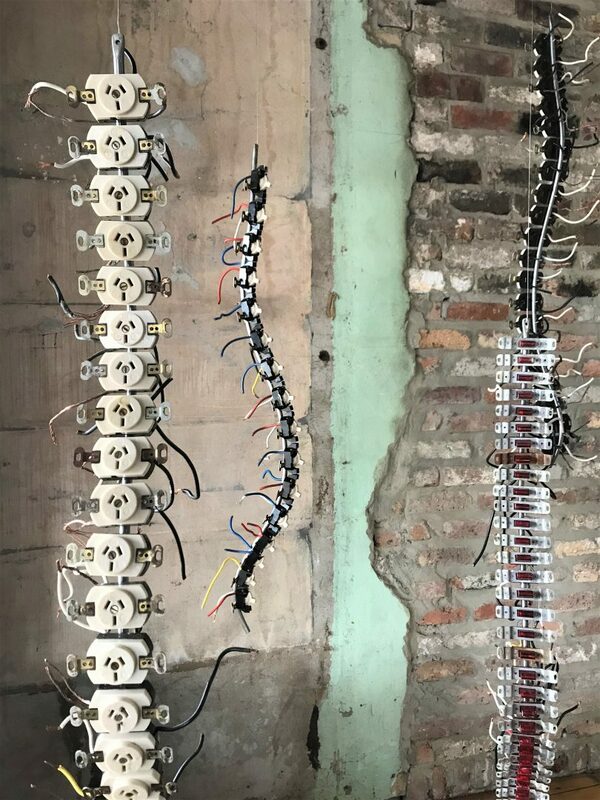 The winner of the $50,000 Acquisitive Prize will take its place near “Buoyansea”, the now celebrity upside-down octopus sculpture permanently acquired for the Clyde River foreshore last year. This permanent Sculpture Walk is the real driver behind the Sculpture on Clyde event. The Chamber of Commerce and Tourism’s inspired idea is to create a legacy for locals and visitors to Batemans Bay, with a 3D outdoor art gallery open every day and night of the year. “It’s all about destination infrastructure in Batemans Bay, as we don’t have a lot. But it’s a great place with a lot of natural beauty, but we just needed a few focal points,” he added. Mr Maclachlan said “it was a very considered decision where we would run it. 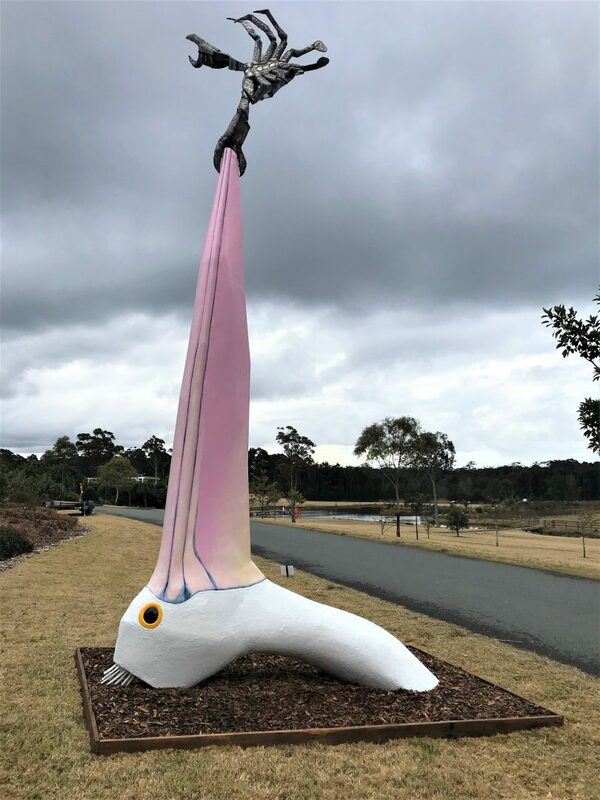 We decided to bring Willinga Park (which is Shoalhaven Shire 32 km north of Batemans Bay), more into the shire as most of our day visitors come from Canberra, whether they go north or south. 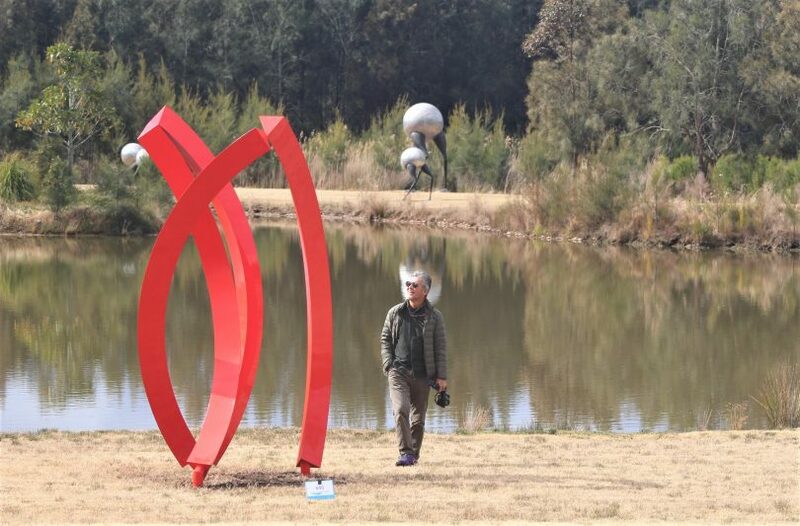 “The inclusion of Willinga Park in this sculpture event is a very exciting development and we look forward to hosting wonderful new sculptures and welcoming art lovers from far and wide,” said Mr Maclachlan. The gardens at Willinga Park have been developed on remnant degraded grazing country. Created in 2010 on a 5ha site, the gardens are a sensational setting for sculpture, offering grand vistas as well as intimate spaces in the lush garden beds. There have been in excess of 11,000 trees, shrubs and plants incorporated into the property. The plantings in the gardens are mainly Australian natives, some endemic to our area and have an established micro-climate. Sculptures created by South Coast students will be on display in shopfronts throughout Batemans Bay’s CBD. Jenni Bourke, The Monitor, ceramic. Neural Nexus by Martin Rowney. Tobias Bennett, Much Like Life 11. In addition, an underwater sculpture park, accessible from Batemans Bay’s beaches, is in the planning for the delight of divers and snorkelers in the future. Just go to www.sculptureonclyde.com.au or click here or here. Buses depart from the Promenade Plaza, Orient Street bus stop (near the Starfish Deli) and pre-registration is essential. The $15 cost includes the return bus, entry, a catalogue and a donation to Muddy Puddles. Departs Batemans Bay 9.30 am, arrives Willinga Park 10 am. Departs Batemans Bay 11 am, arrives Willinga Park 11.30 am. Departs Batemans Bay 1 pm, arrives Willinga Park 1.30 pm. Departs Batemans Bay 11.30 am, arrives Willinga Park 12 pm. Departs Willinga Park 2 pm, arrives Batemans Bay 2.30 pm. Todd Costa, The Green Room. Photo: Alex Rea.